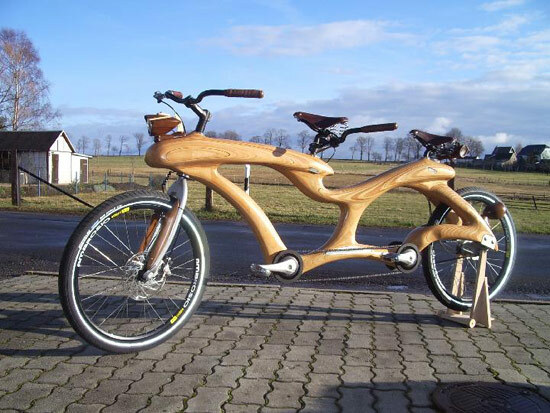 On this page we feature pictures of vintage and rare bikes, such as this wooden tandem. The completely functional prototype took over 400 hours of woodwork to craft. 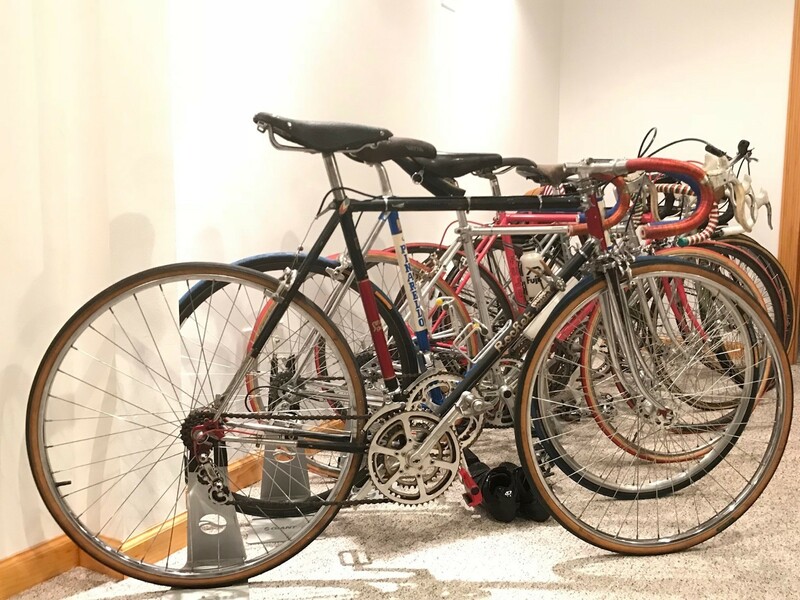 ​​​If you have a picture of your vintage, rare, or just different bike that you would like to share, please email them to us. 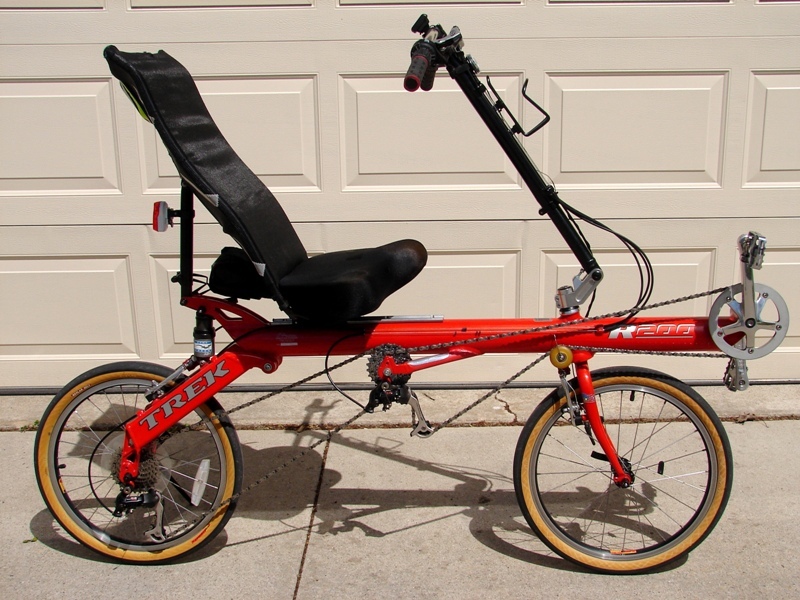 With 40 gears and rear air suspension, this recumbent was ahead of its time and (for its time) over priced, which made it not very popular. It was only produce from 1999 until 2001. 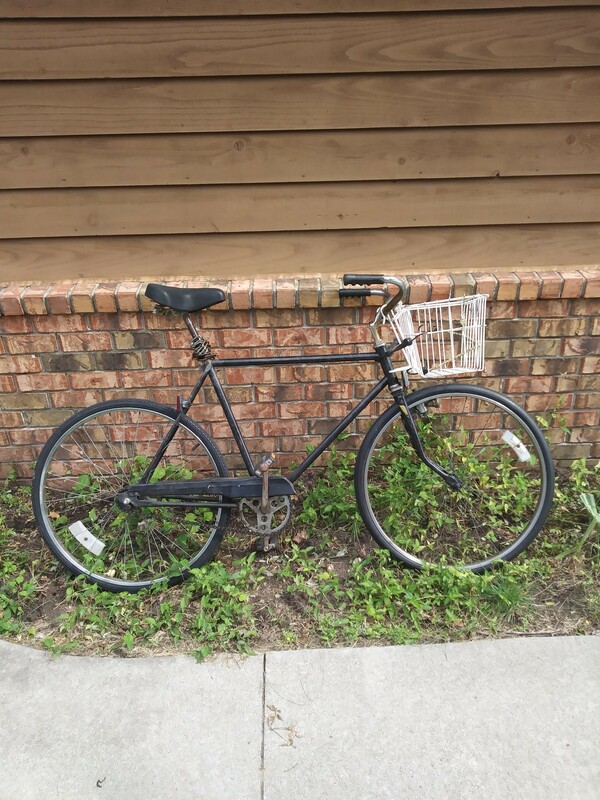 This particular bike came to its second owner so original that it did not even have the fixes for some of the issues this bike had​​ in its early days. 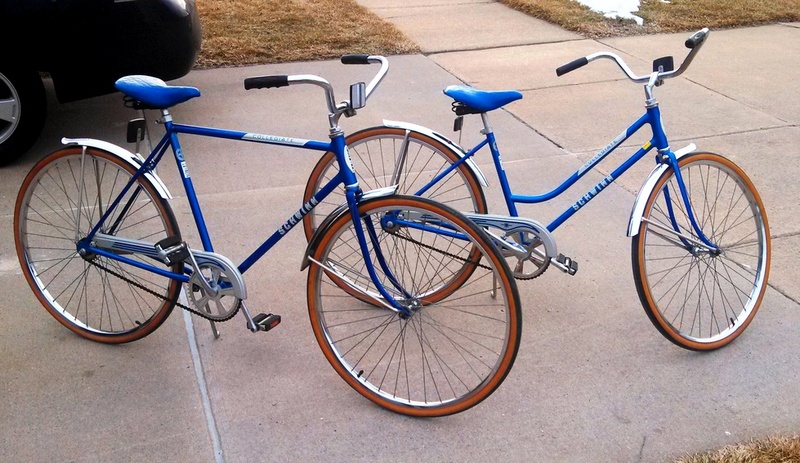 Thanks to Rick Darling for sharing the next three bikes. 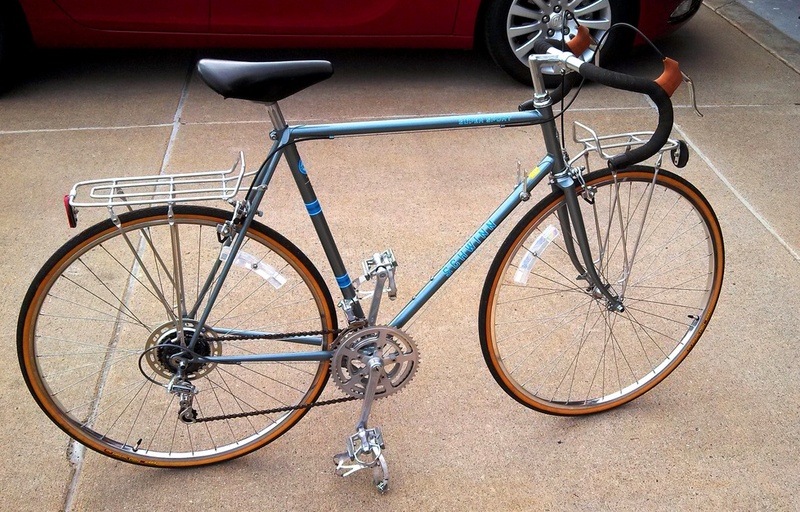 This is a 1977 Schwinn Fastback with a thumb shifter. 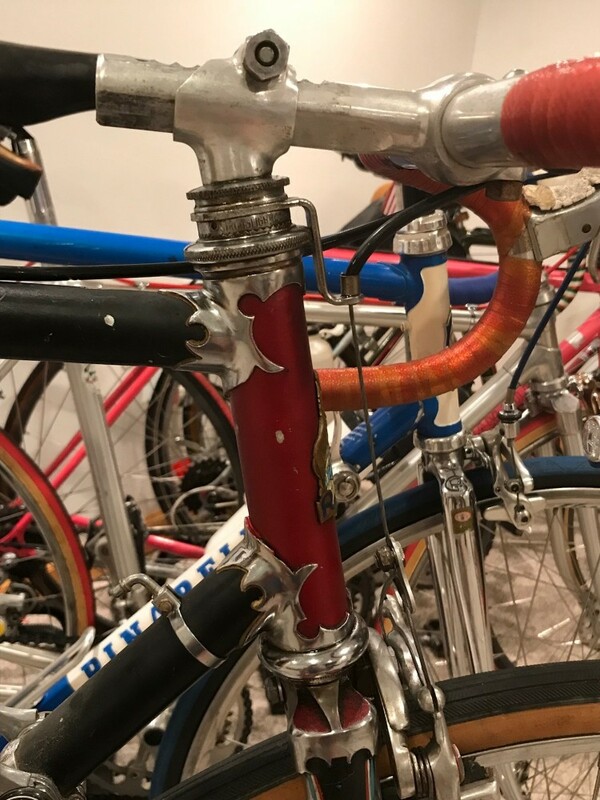 The "Stick Shifter" everyone remembers from the 60's was banned after 1972 because of "accidents" But this was was built in Chicago. Made in America! 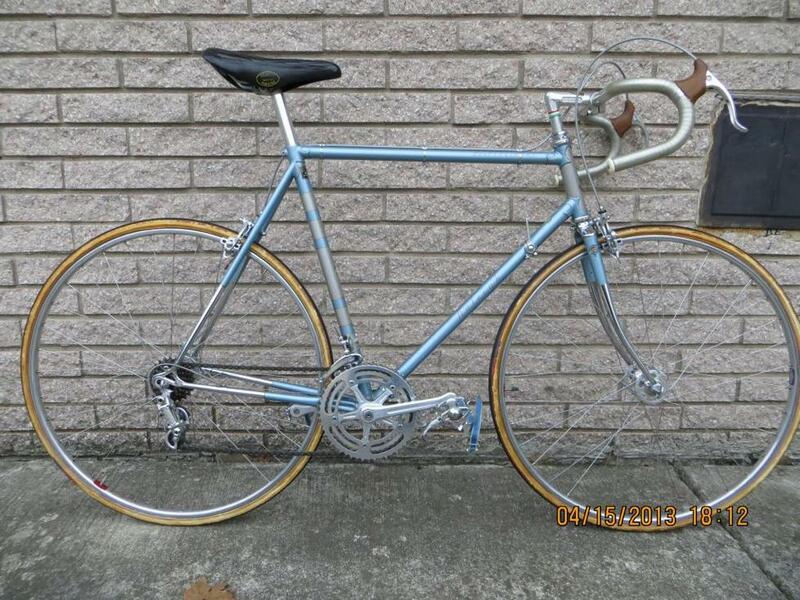 This bike is an Italian made, 1973 Frejus. The project is a preservation, not a restoration. 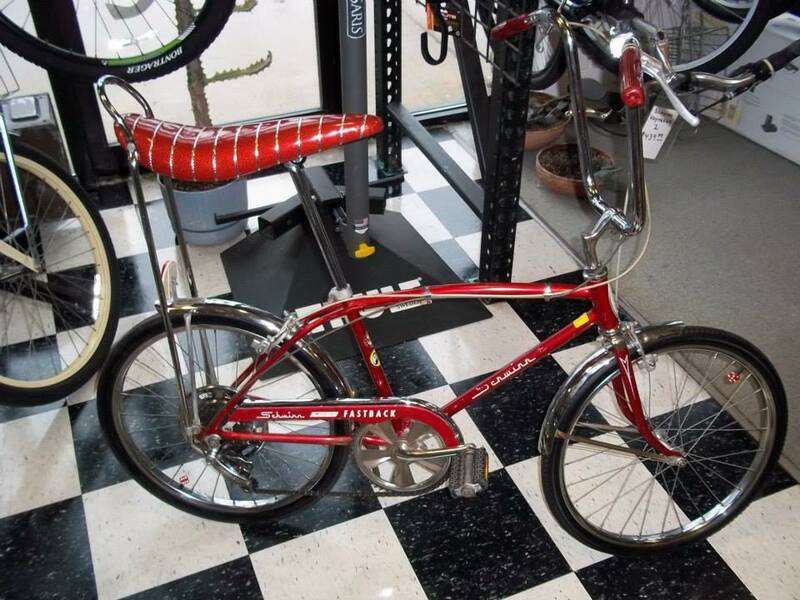 This red beauty was hanging in a garage for many years. 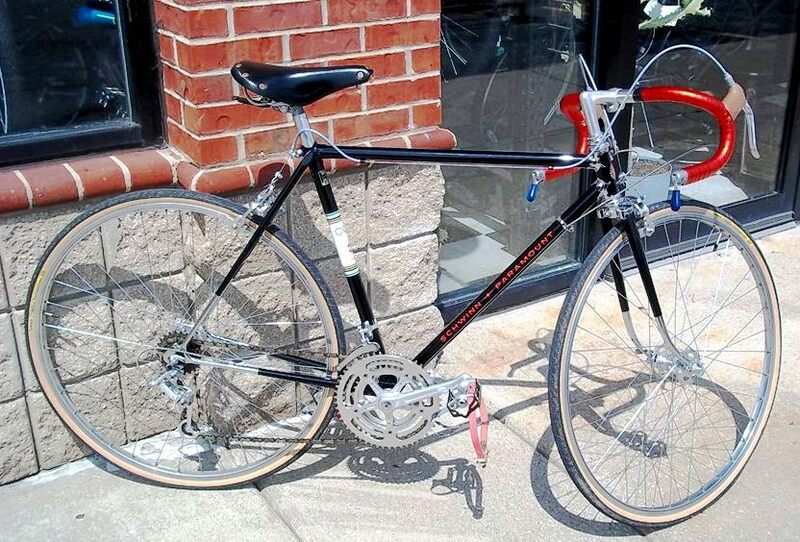 It's 99% original with paint, chrome and decals as built, equipped with a full Campagnolo Nuovo Record group, and Universal 61 brakes. Everything functions perfectly. The 41 year old tires are unfit to ride but they still hold air! 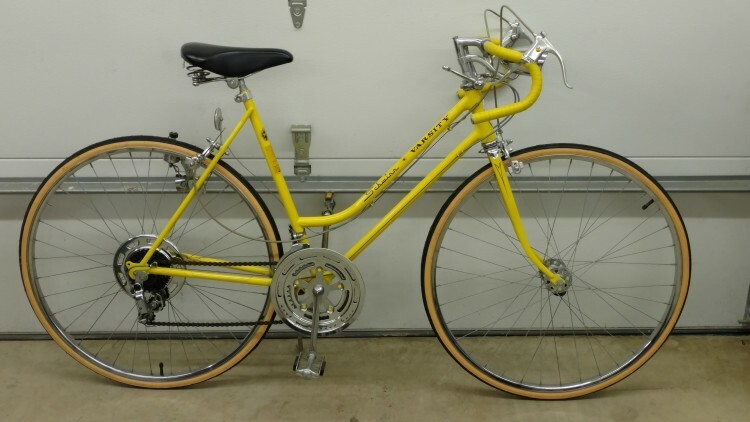 Here is a 1973 Schwinn Paramount that was in the shop recently. It's a P-15 touring model with a fresh Waterford paint job. All the components are original to the bike including the Campy bar end shifters and Campy Rally rear derailleur. New tires and tubes were added and now it's ready to ride! 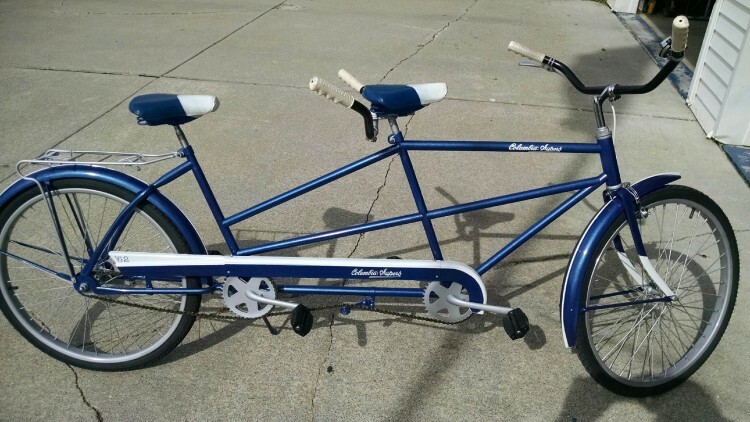 This is also Larry Koehn's.1962 Columbia commercial tandem that he restored. " It was Farm Fresh rust when I got it," he says. 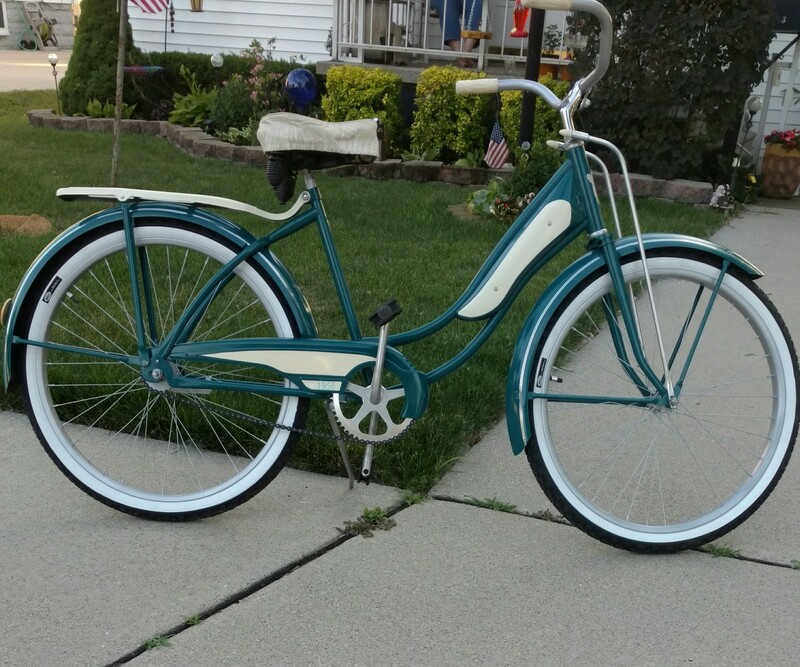 Larry Koehn shows off another restored beauty. It's a 1956 Goodyear Highway Patrolman. 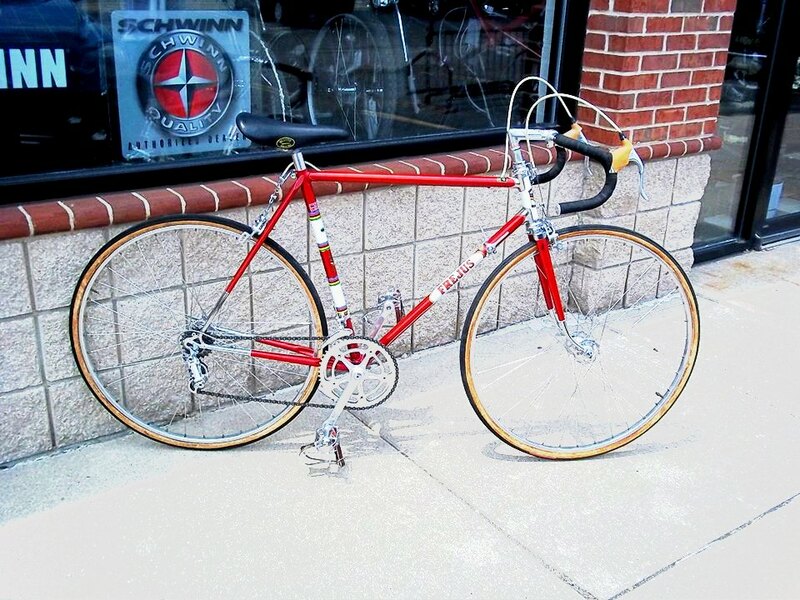 Here is Dan-the-Man's vintage Rochet Super Special. 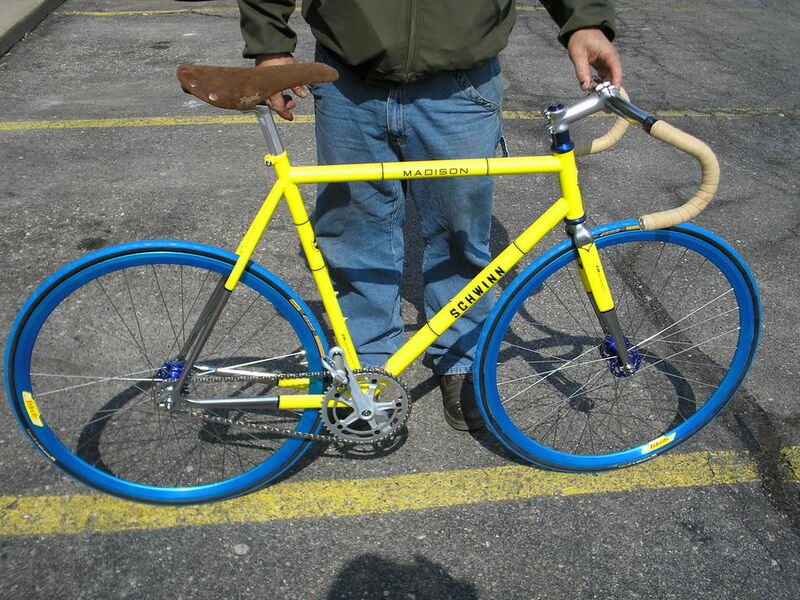 To the right is Richard's Hawthorne Super Light that he uses for his daily driver.